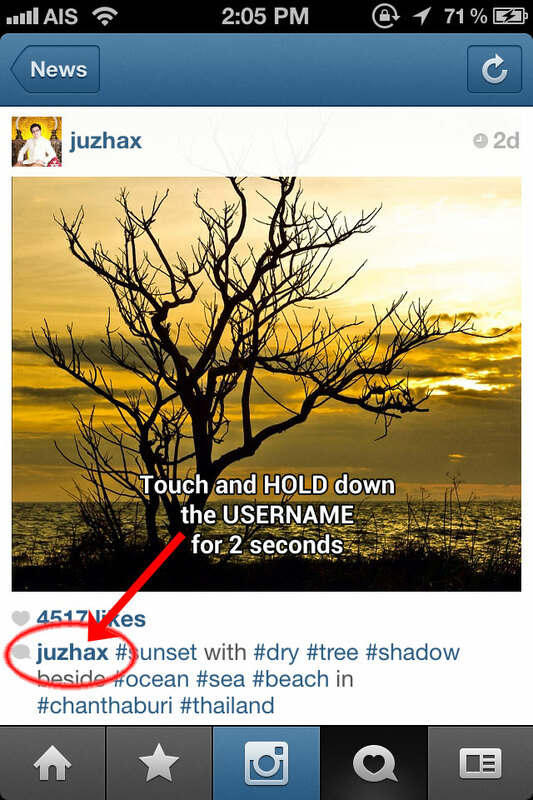 How to mention someone on Instagram ? 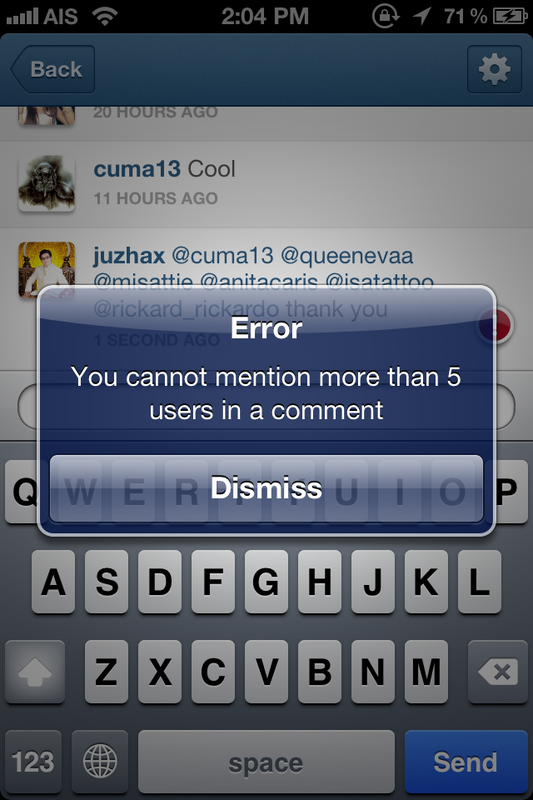 You can see, I can mention up to 5 users in comment, and this will notify them instantly. To mention the user, you have to touch the user nickname and hold for 2 seconds, the menu will come up from the bottom. 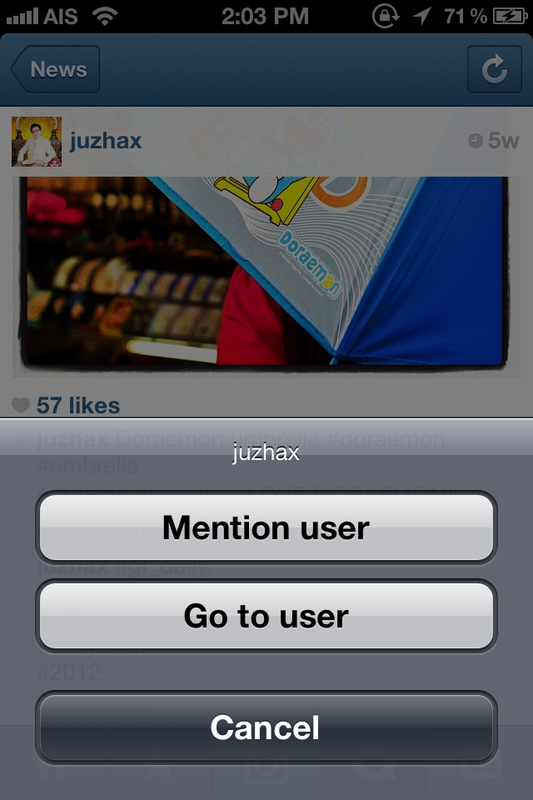 It will display the menu from the bottom, then tap for the Mention User. Then you can continue your comment. 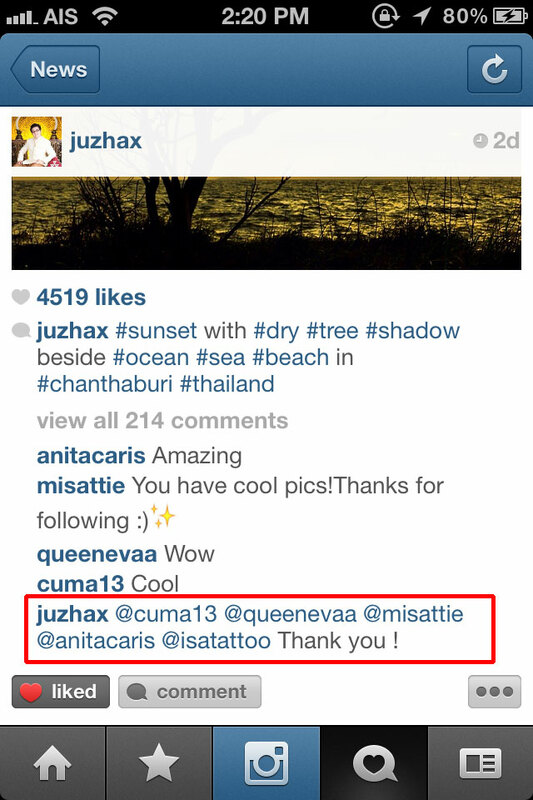 Why I have to mention someone in Instagram ? If you reply comment without mention them, they won’t notice that you reply to them, you have to mention their username, then he/she can see your reply in notification, and reply to you easily, then can communicate easily in Instagram. How many people I can mention in Instagram ? You can mention together up to 5 name in one reply comment, if you want to mention more that that, you have to reply in another comment. If you mention more than 5 people in a comment, the error will be displayed.